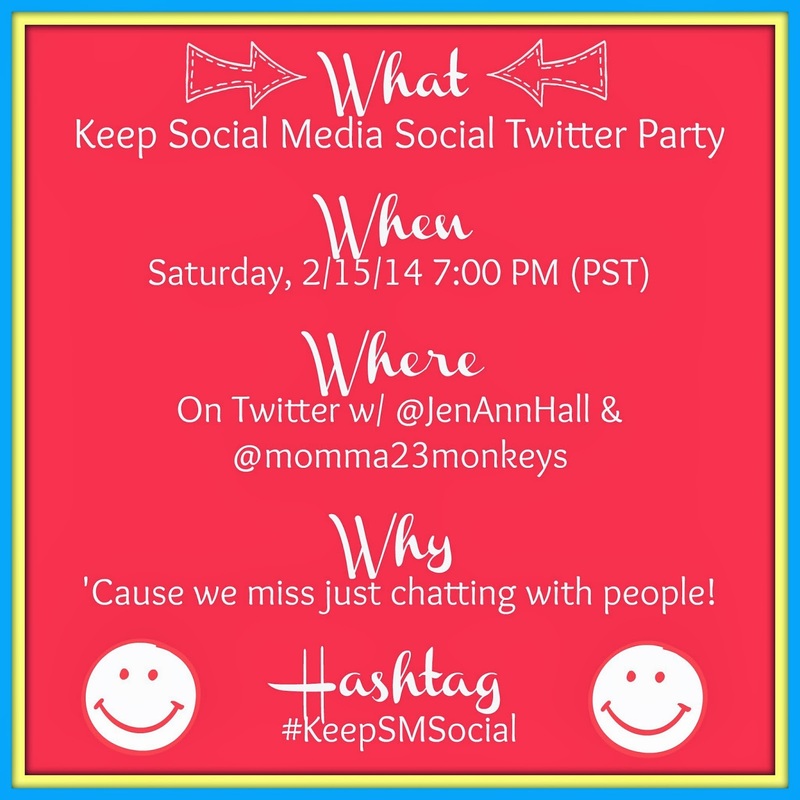 Dancing in the Rain: Join the #KeepSMSocial Movement! We love it. We hate it. We love it. We want to throw our phone across the room. Oh, but my friends live in there! It's supposed to be social, right? Entertaining. Fun. Interactive. Engaging. Participating in social media should be like a giant, never-ending party on the Internet! As a blogger, I know that there are lots of ways we use social media other than sharing photos, commenting on status updates, planning (IRL) parties and giggling at silly memes. We bloggers share our blog post links. Then we share other blog links because we liked them and think you might like them too. News agencies are now keeping us updated on social media, people are debating politics, religion and gossiping about celebrities. And then there's advertising via social media. So much so that it's often hard to just have a convo with someone. Have you noticed this? I have. So has my friend Robbie of Fractured Family Tales. She and I want to get some of the friendly exchanges back into our social media lives. We've chosen a hashtag and a day and time to have a twitter party! To just chat with people. Gab. Jabber. Prattle. Engage in friendly discourse. However you say it, you should join us because it will be FUN! Why: "Cause we miss just chatting with people! Spread the word, invite your friends, let's play! Perhaps it can become a weekly thing!